YouTube is a popular video-sharing website. I search for funny videos there. Now all I want to do is to save the YouTube videos on PC and show them to others. What should I do? Here we will try Xilisoft YouTube Video Converter to do such job. This software can not only help download FLV videos from YouTube, but also convert YouTube videos to any video formats to fit various digital devices with fast speed. Free download Xilisoft YouTube Video Converter, install and launch. Preview the video by the embeded browser and find our target video. Then click the download button on the tool bar. From pop-up window, let’s set the format and destination setting. After that, click ‘OK. The downloading will start automatically. After a few minutes, we will get converted YouTube video on PC. 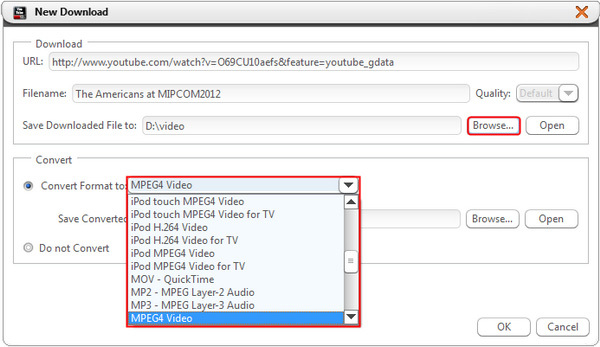 Now let’s create our own collections of YouTube videos with this easy-to-use YouTube converter.